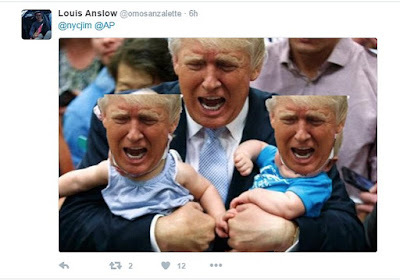 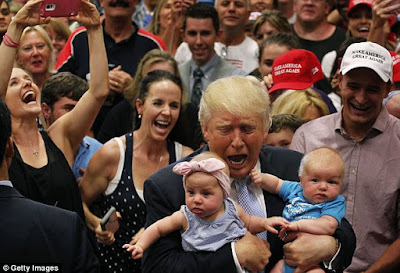 Donald Trump made a baby cry as he posed for the camera at a rally held in Colorado Springs. 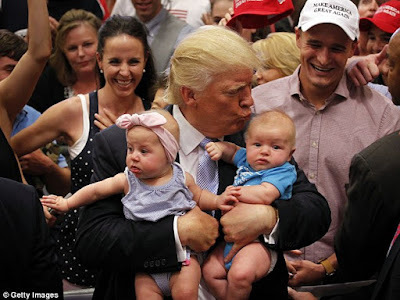 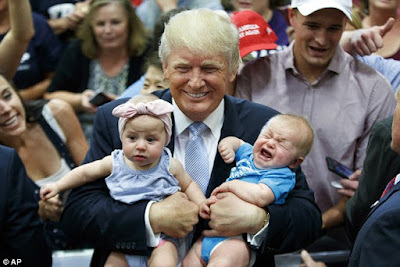 With two babies in either arm, the grinning billionaire businessman posed for photos as his smiling fans swarmed behind him. 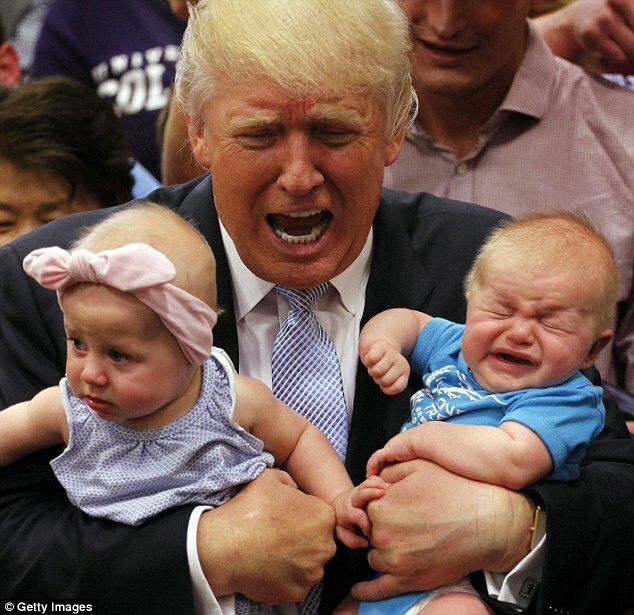 He tried to placate one with a kiss, but the baby immediately bursted into tears.